Xtreme Elite Training Cones are essential to building explosive acceleration and deceleration in an athlete. By focusing on quick step movements, running form and body control you will see the benefit of training with Elite Training Cones! 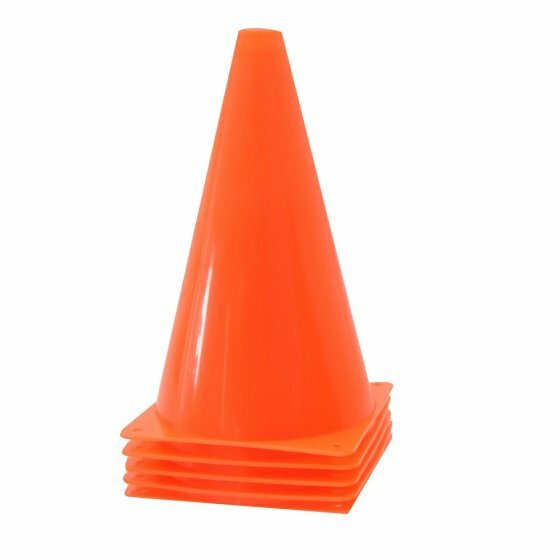 Designed for drills and rigorous training sessions they are a versatile tool, durable and brightly coloured so it's easy to spot these cones in the field. Lateral speed and agility work layS the foundation for an athlete in any sport. Agility training is used to improve foot speed, quickness, acceleration, switching gears, cutting, starting/stopping, change of direction, and also aids in preventing injuries by improving body control through proper movement mechanics!